takes a front seat and unite as one, again. #FlashbackFriday. Two days after Christmas, there is another present waiting for us... a fruitcake bite and a rock 'n rollin' old fashioned Christmas carol. 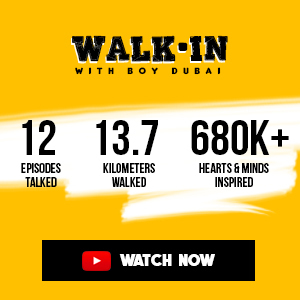 9 months after their rockin' reunion concert in Dubai, the Eraserheads will do an encore. They will be performing on day 2 of High Impact Music Festival A2 at The Meydan Racecourse, back to back with another iconic pop rockstars Parokya Ni Edgar, with special participation of Erik Santos and MC Jin from Hong Kong. Sharing the stage with Parokya Ni Edgar, the living legends, promises a nostalgic timeline throwback. Imagine Buloy and Pare Ko in one gig. Classic. 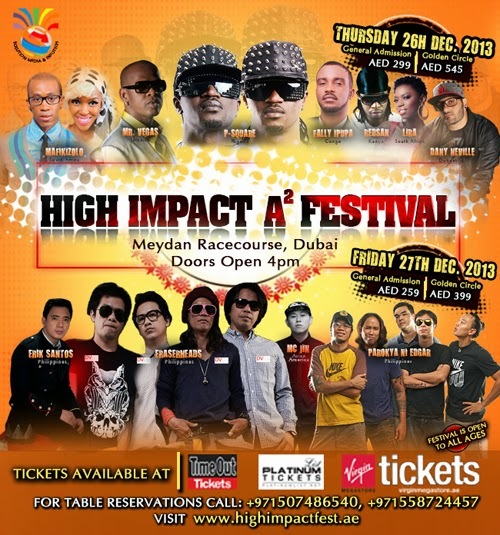 High Impact A2 Festival is a 2-day event geared towards creating a fusion of African & Asian Music, celebrated in Oriental splendor, typical of the U.A.E especially the Cosmopolitan DUBAI. The first day (Thursday, 26th Dec), African music lovers will see electrifying performances from the Continent’s finest artists such as LIRA & MAFIKIZOLO from SOUTH AFRICA, REDSAN from KENYA, FALLY IPUPA from DR CONGO & P- SQUARE from NIGERIA. To add more Spice, Dancehall and ‘Bruk It Down’ crooner, MR.VEGAS from JAMAICA will be joining the lineup! On the wheels of steel is the “ambassador of urban music to the Middle East”, DANY NEVILLE. He will be performing alongside band mate TARANCHYLA representing the DUBNETIKZ.